Adela Jušić was born on 1982 in Sarajevo, Bosnia and Herzegovina. She graduated at the Academy of Fine Arts, Department of Printmaking, University of Sarajevo in 2007 (MA), and holds MA in Democracy and Human Rights in South East Europe from Sarajevo and Bologna Universities, 2013. 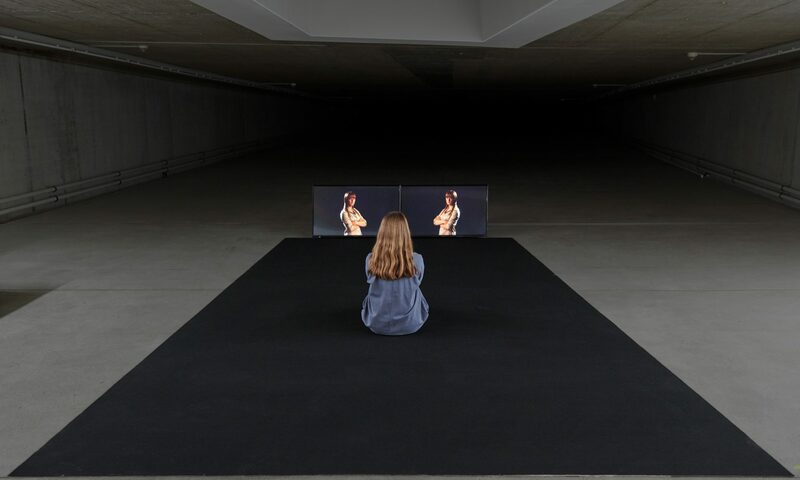 Jušić has exhibited in more than 100 international exhibitions (Manifesta 8, Murcia, Spain; Videonale, Kunstmuseum Bonn, Germany; Image Counter Image, Haus der Kunst, Munich, Germany, Balkan Insight, Pompidou Center, Paris). She has participated in many artists in residence programs (ISCP, New York; Kulturkontakt, Vienna; i.a.a.b. Basel, Museums Quartier, Vienna) and in numerous panels, workshops and conferences. In 2010 she won Young Visual Artist Award for the best young Bosnian artist in 2010, Henkel Young Artist Price CEE in 2011, and Special award of Belgrade October Salon in 2013. Her works are part of many private and public collections. She is a co-founder and working at cultural projects at the Association for Culture and Art Crvena since 2010, and is one of the creators of Online archive of Antifascist struggle of women of B&H and Yugoslavia.